A "Feast of Fife" the invitation said. A chance to meet some of Fife's top food producers, visit some of Fife's best restaurants and taste some wonderful food. Food is becoming a big thing in Fife. There are two Michelin starred restaurants, and food producers are winning award after award at competitions across the country. 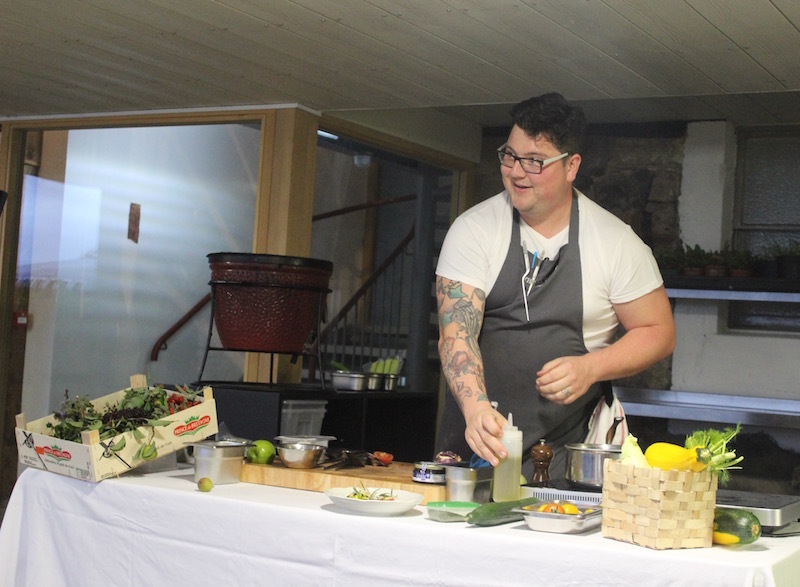 Focusing on local produce and innovative cooking skills chefs are taking their dishes to the next level, as we were about to experience. 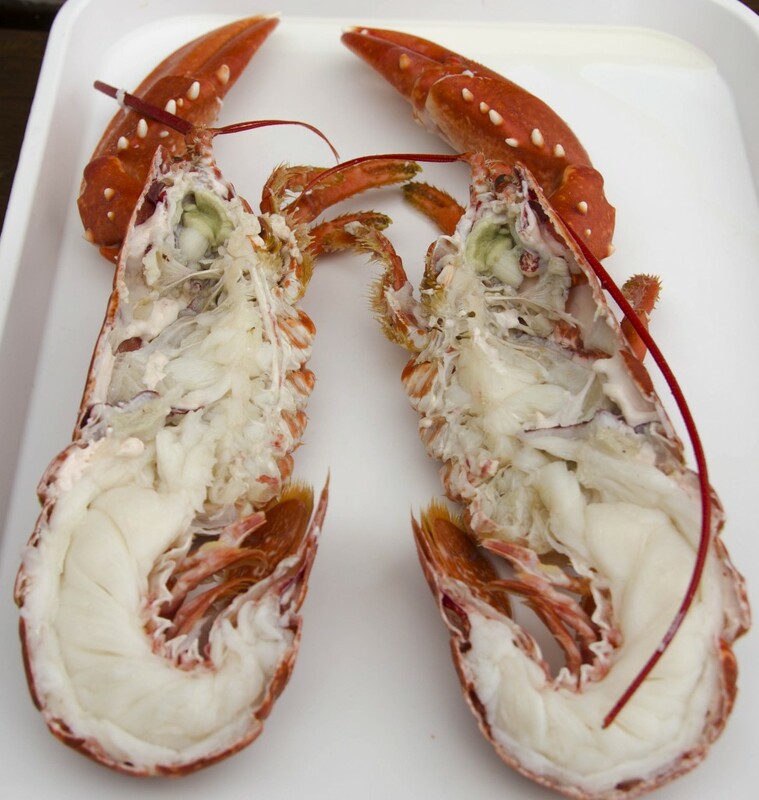 Perhaps it's down to the mild climate, letting the crops grow to their full potential, or the fact Fife is lucky enough to have a 118 mile stretch of coastline giving fishermen easy access to some of the world's finest fish and seafood. Or perhaps it's the many acres of lush fertile farmland that give the meat and pork such a divine texture and taste. 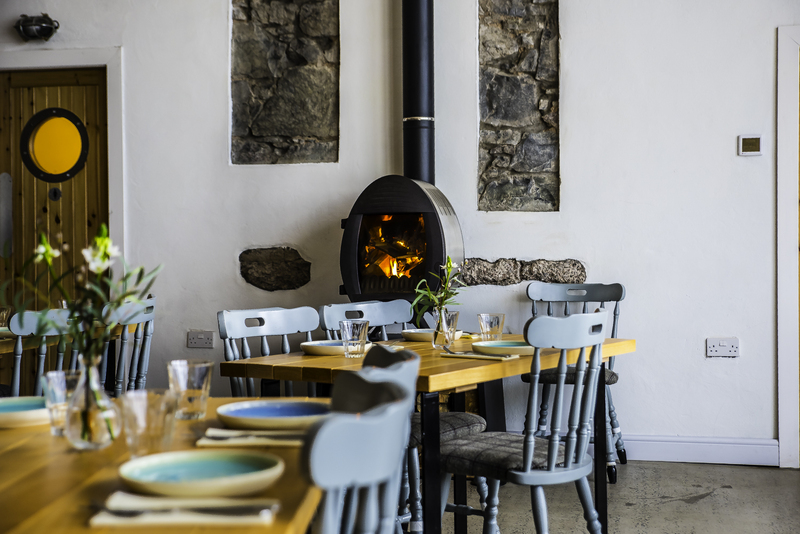 Whatever the reason, and it's likely to be a combination of all three, Fife is now a haven for foodies. Needless to say I accepted the invitation and last weekend I took part in Welcome to Fife's inaugural Feast of Fife. 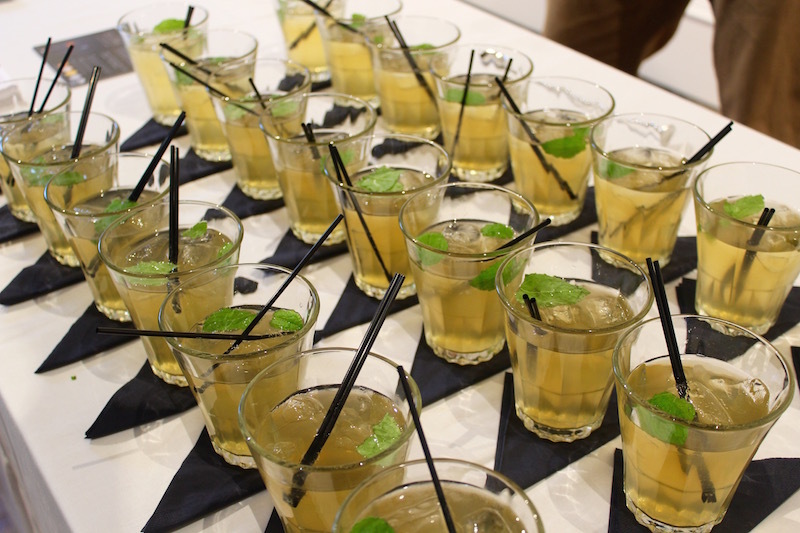 I was joined for the two days by food bloggers and writers from across the country. How lovely to spend time with a group of people as obsessed with food as I am! Our first morning began at the luxurious Eden Mansion Hotel in Guardbridge. 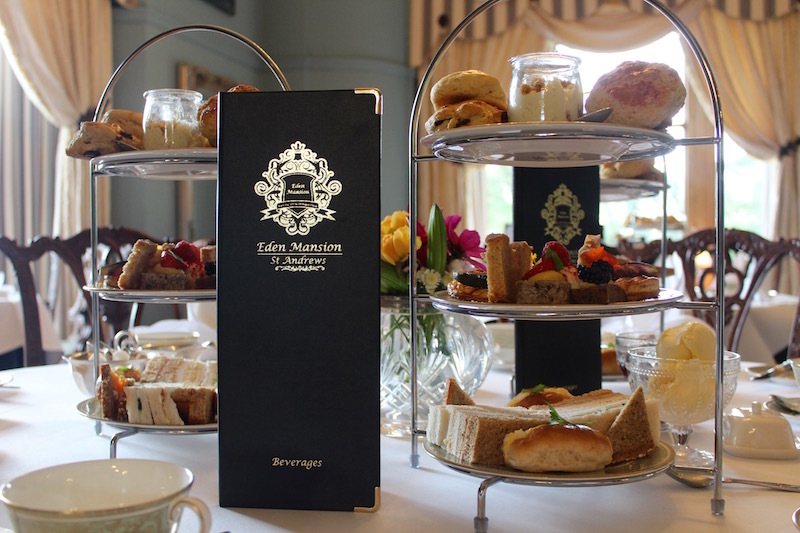 Having already enjoyed the experience that is Afternoon Tea here before, I already knew I was in for a real treat and the team didn't disappoint. We were greeted with coffee and fresh croissants before taking our seats in a grand and elegant room for an introduction by Fife Food Ambassador, chef and cookery writer Christopher Trotter. 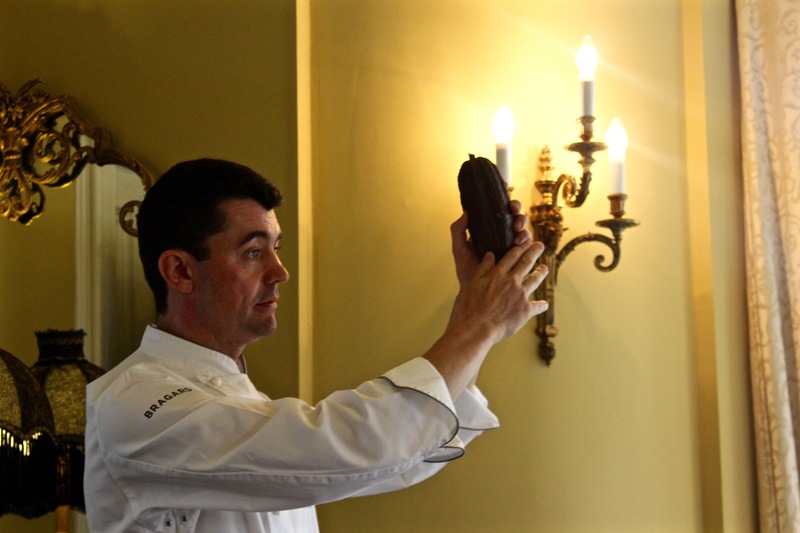 Waxing lyrical about Fife's stunning range of foodie options got the audience excited for what was to come and our next guest speaker was none other than award-winning Chocolatier and Patissier, and Fifer, William Curley. Born in Methil William gained his love of baking from his granny, spending Sundays baking Dundee cake and éclairs. 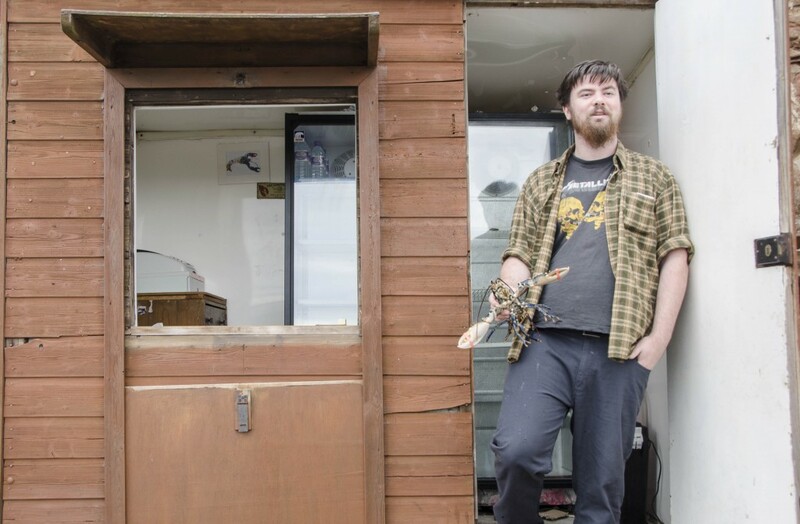 He made and sold bounty bats in the school playground for two bob then went on to learn his trade working in the kitchen at Gleneagles before working with chefs such as Pierre Koffman, Marco Pierre White and Raymond Blanc. He became Head Chef Patissier at the Savoy in London aged just 27 and has now opened 2 stores of his own as well having a chocolate concession and Patisserie concession in Harrods. 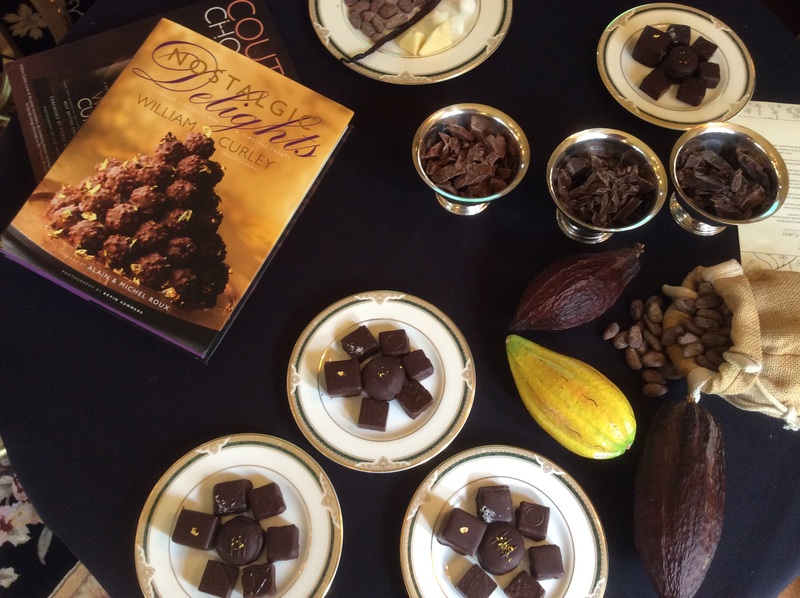 What an honour is was to hear his story, which he told as we tasted accompanying chocolates like a millionaires shortbread as a tribute to his granny and a bounty chocolate like the ones he sold at school. The chocolates were heavenly and it was easy to see why he has won so many awards including Britain's best chocolate four times! Steven Whitelaw, digital and internet evangelist, and all round man ever blogger should talk to was up next with an extraordinary amount of extremely useful hints and tips for bloggers which we scribbled furiously down. 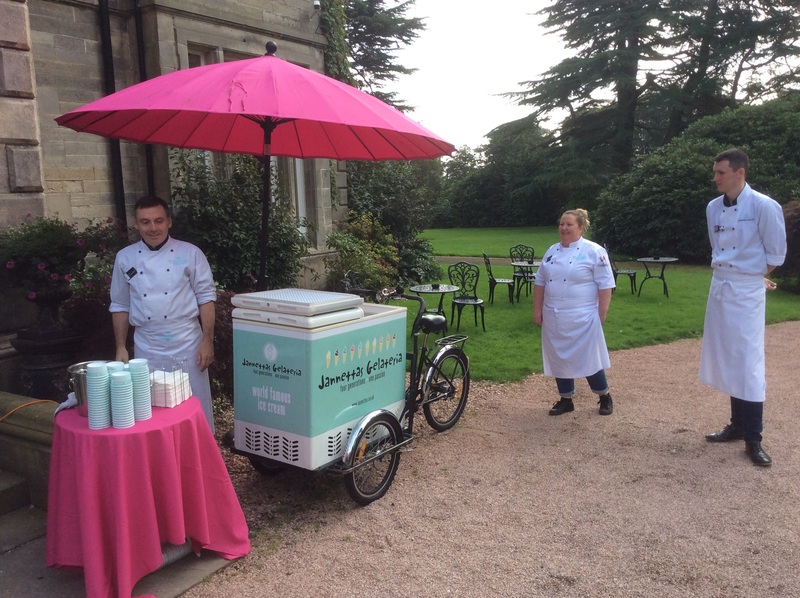 We descended on the lawn and the rain held off while we sampled two new artisan ice creams from Jannetta’s Gelateria, a pear and blackberry sorbet and a tayberry as well as their ever-popular tablet flavour. Jannettas is so popular in St Andrews the queues snake along the street when the sun shines so it was a real treat to have an ice cream cart just for us. Afternoon tea was AMAZING! Gathered around large tables laid out beautifully were three tiered stands filled with delicate sandwiches and buns, dainty fresh cakes and scones. Fillings for the sandwiches included Loch Fyne Smoked salmon with dill cream cheese, Anster cheese with Arran fruit chutney and Ham with Pommery mustard mayo. I had the 1885 blend of tea which I had so loved the last time so was looking forward to again. The cakes all included fruit from their own garden and included a Gaurdbridge Plum fool, a fig lattice with crème patisserie and a Ginger cake with wild brambles. It was so good many of us took home a box for later! 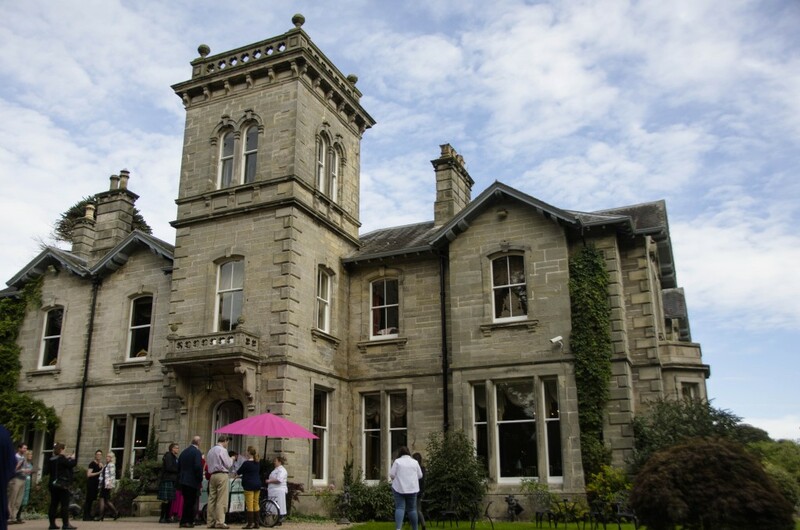 After a couple of hours of free time in St Andrews we were picked up and driven to Newport and to Masterchef winner Jamie Scott's restaurant The Newport. First we admired the art in the gallery and the fantastic view out over the Tay while enjoying a whisky cocktail from Kingsbarns Distillery and a gin cocktail from Eden Mill before a thrilling cooking demonstration by the man himself. Another absolute honour. 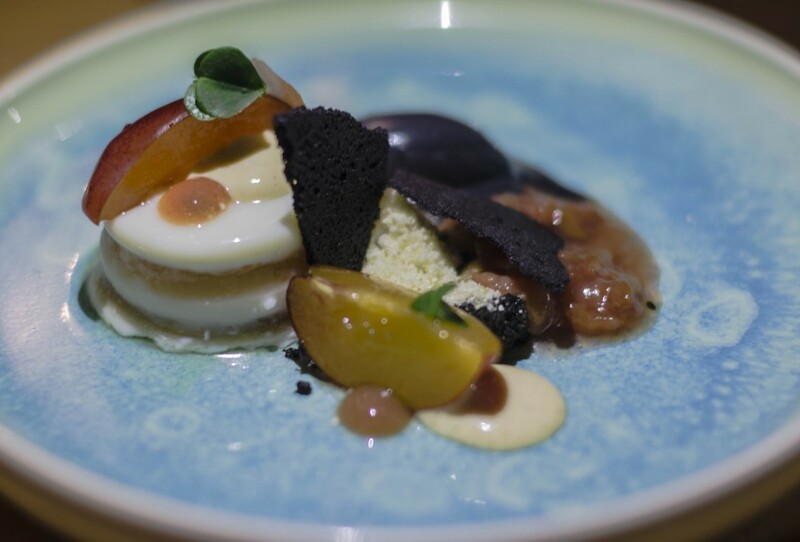 The five course-tasting menu was served on the top floor with the floor to ceiling glass windows slid open so we could enjoy the sun setting and the fresh sea air. Long wooden banqueting tables were laid out with candles and the lights were dimmed which created the perfect ambience to enjoy the dishes to come. Wow. I'm running out of words to describe just how fantastic the food is in Fife but a Michelin star is surely coming this man's way. We were treated to dish after dish of pure perfection. Buckwheat with flowers and curds, Pittenweem mackerel with Pittormie tomatoes, oyster and basil and hands down the best autumnal salad I've ever tasted. A Puddledub pork bau, St Monans crab rarebit, an Anster cheese Gruyere and a divine Starr Farm beef, smoked shoulder and short rib with alliums. Phew, what an experience. Day two began at the St Andrews Farmhouse Cheese company where we met the lovely owner Jane Stewart. 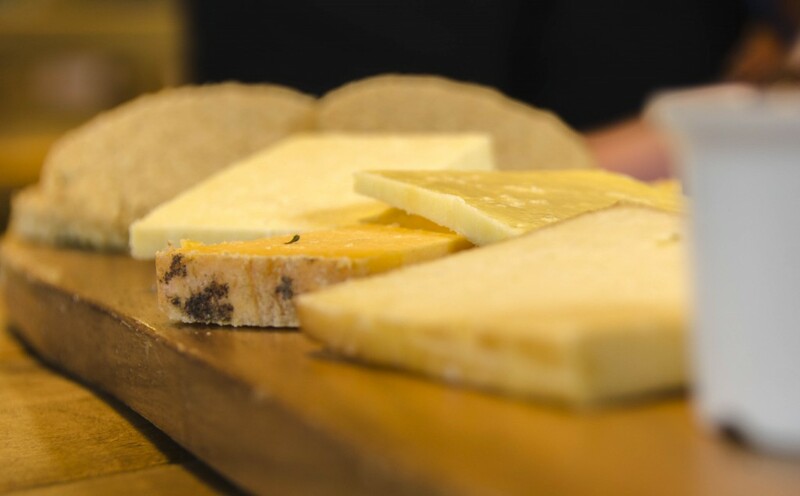 Making cheese from their own herd of Holstein Friesians who graze while enjoying stunning views over the Firth of Forth, they produce four different types of cheeses, which we got to sample on a pallet with warm buttery cheese scones and scrumptious biscuits. Cheese is probably my favourite food on earth so I completely savoured every mouthful. 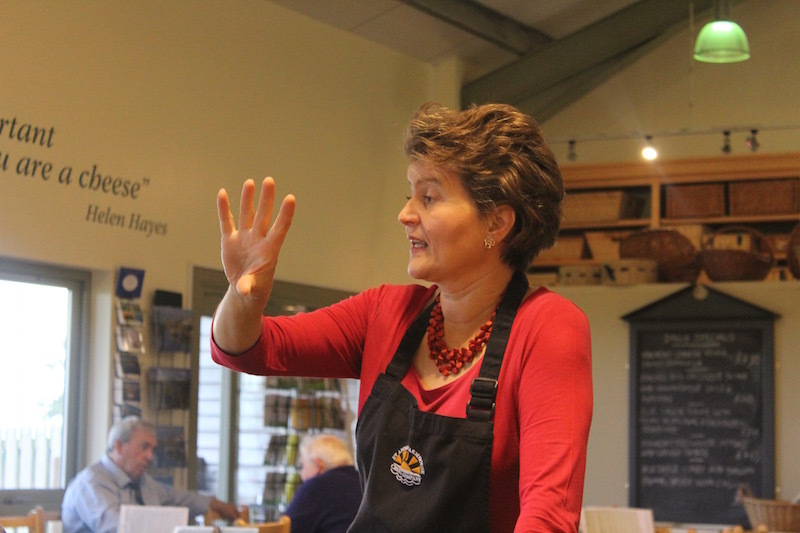 You can visit here on certain days and actually watch the cheese being produced but we relaxed in the spacious and light cafe and listened to Jane as she spoke so passionately about her outstanding cheeses. It's something I noticed a lot while meeting the different producers and chefs over the two days - Passion, for Fife and for the food they create which is truly inspiring. I was so excited to have lunch, as it was someplace I'd never been but had wanted to go since it open. 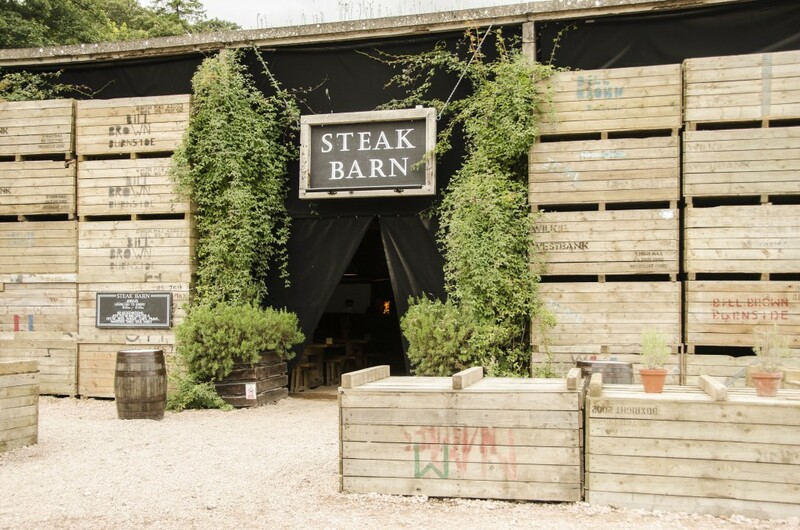 Balgove Larder's Steak Barn is packed full of rustic charm. 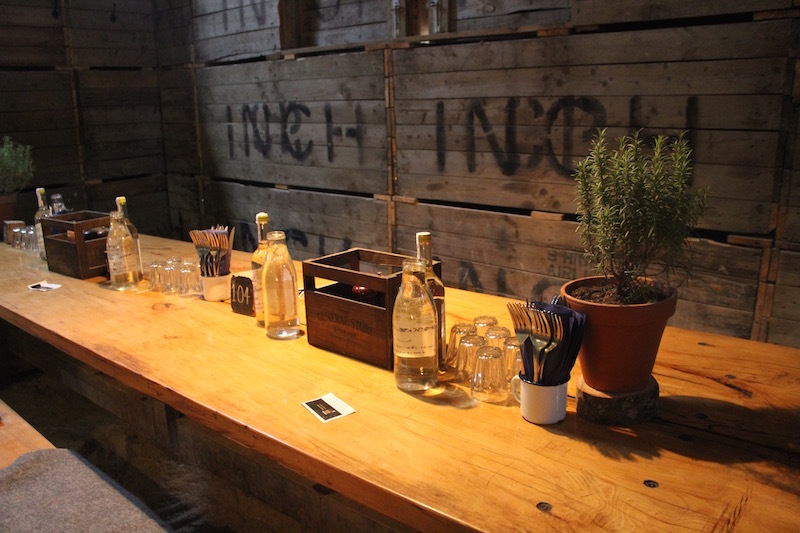 The walls are wooden pallets, lined with dark mesh making it feel cosy even though it's huge. The tables are communal and made from beech from the estate. 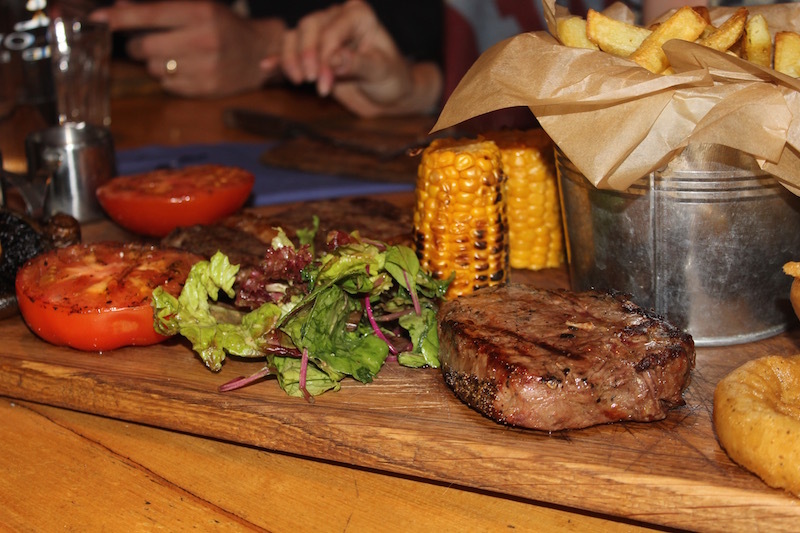 They serve their own steaks, hung for at least 28 days on site, as well as burgers and sausages made in their own butchery. We watched as they were cooked by the chef on the wood-fired BBQ, before taking our seats. We were presented with huge wooden platters with burgers, mushroom burgers, chicken kebabs, sharing plates and deep fried prawns. This is an ideal idea for big families to meet and catch up, the food is big, homely and tasty! 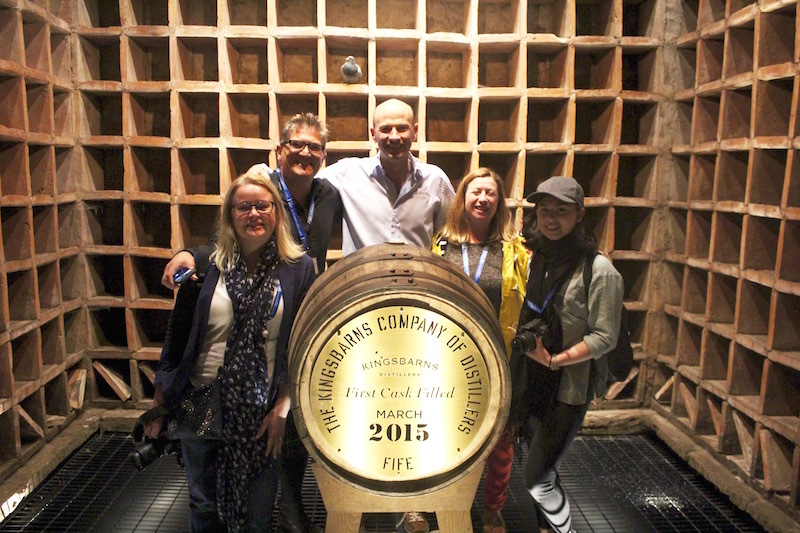 We travelled back along the coast to one of my favourite places, Kingsbarns Distillery, where founder Doug Clement took us on a tour. Doug used to be a caddy at Kingsbarns Golf Links and was always having to tell the golfers that the nearest whisky distillery was over 50 miles away so he decided to solve that problem by transforming the ruins of the derelict East Newhall Farm into a modern, well designed and first class whisky distillery. 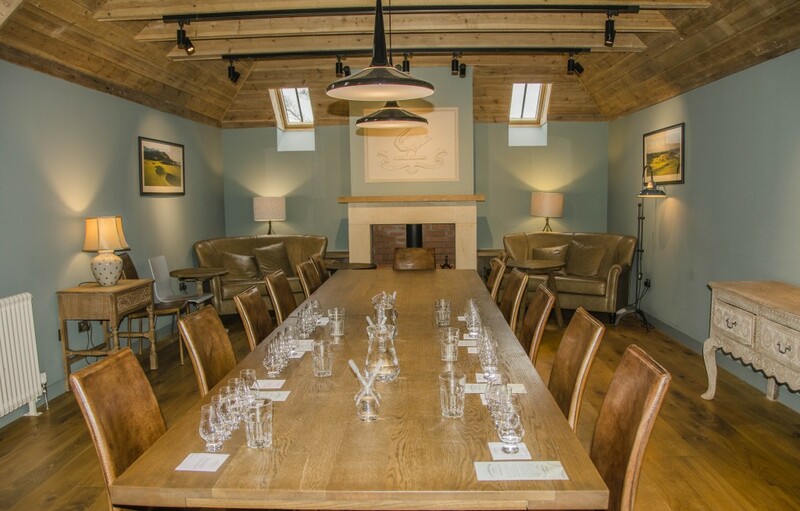 The tour takes you on a journey through the process and ends in the luxurious Tasting room where we got to indulge in not one or two, but FIVE whiskies. If you know anything about me you'll know how that ended. When I was finished I positively crash-banged out the room, such is my complete inability to handle Scotland's favourite tipple. It was delicious though. 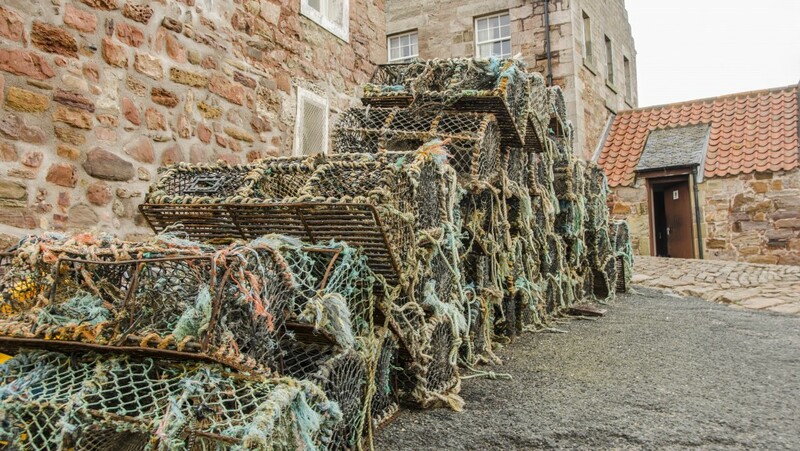 While I recovered my composure in the minibus we were driven to our final destination of the trip, the gorgeous little coastal fishing village of Crail for the ultimate beach treat - Lobster. Served fresh by the harbour from The Lobster Shack we sat on picnic benches and I relished my first ever taste of this delicacy. Cooked simply it was a definite highlight of my trip; I had no idea it would taste so good. What a whirlwind of foodie experiences we had. I've never eaten so much, of such an amazing quality and I went home feeling mighty proud to be a Fifer.